Summer is a great time to break out the cycle, and there's a bounty of sun soaked landscapes to explore in neighbouring Europe. We sent intrepid cycling expert Harvey Downard off to discover one such paradise: the delights of the Loire Valley in France. The region is famous for its generous amount of elegant chateaux that punctuate the lush local scenery of fruiting vineyards and shimmering rivers. The area is also very accommodating to two wheeled adventurers, as it's fairly flat (we rate it as an easy cycle overall). As Harvey points out, it's almost a picture perfect example of France at its best. 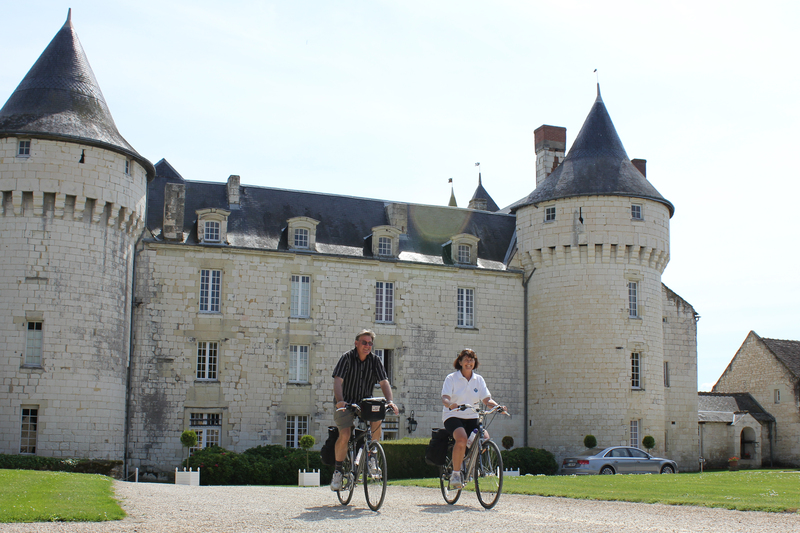 "For me the Loire valley is la vraie France through and through, and the Châteaux of the Loire tour takes you through some of its most iconic towns" says Harvey. "The medieval town of Chinon is the perfect place to start the tour. The dining options here are exquisite and abundant, with my personal favourite being Restaurant l’Oceanic, which is renowned for its stunning seafood dishes." That's certainly true – the foodies among you will love the choice of places to eat. In addition to Harvey's favourite, there's Au Chapeau Rouge, a cosy little spot not too far from the Musée Animé du Vin et de la Tonnellerie (which is certainly worth a visit for the novelty alone – it's a rather animated display). It's named after the red caps worn by the Royal Mail service, and you'll find a selection of local dishes including succulent wild fish, and pork with red wine and pear. If you're looking for plenty of photo opportunities, then you'll be spoilt for choice, according to Harvey. "An easy ride along the banks of the Vienne takes you to its point of confluence with the much larger Loire, a stunning spot for a holiday photo. You can get great views from the bridge, or if you’re feeling adventurous, you can take the small path that branches off the cycle route, which will lead you to the sandy beach that splits the two rivers." When passing along the serene waters of the Veinne and Loire, make sure you keep an eye out for the traditional boats. These regal vessels can still be found making their way along the waterways and you can even take a trip in one. Certainly worth it if you want to give your legs a bit of a rest. You can get an up close look at these historic ships the Loire Shipping Museum, too. Montsoreau, a charming medieval hamlet is located where the two rivers meet. It holds the official title of the 'most beautiful village in France', and it's hard to disagree. Don't miss the fantastic Château de Montsoreau itself – there's some breath-taking views to be had there, especially as the sun catches the waters of the Loire in the evening. There's a lively local market every Sunday as well. 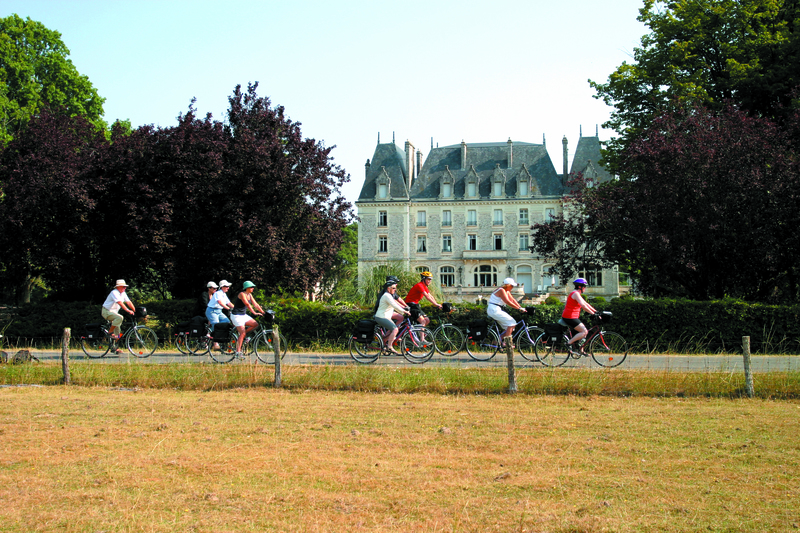 If you're planning on breaking out the bikes this summer, then a tour of Loire could be the perfect excuse.